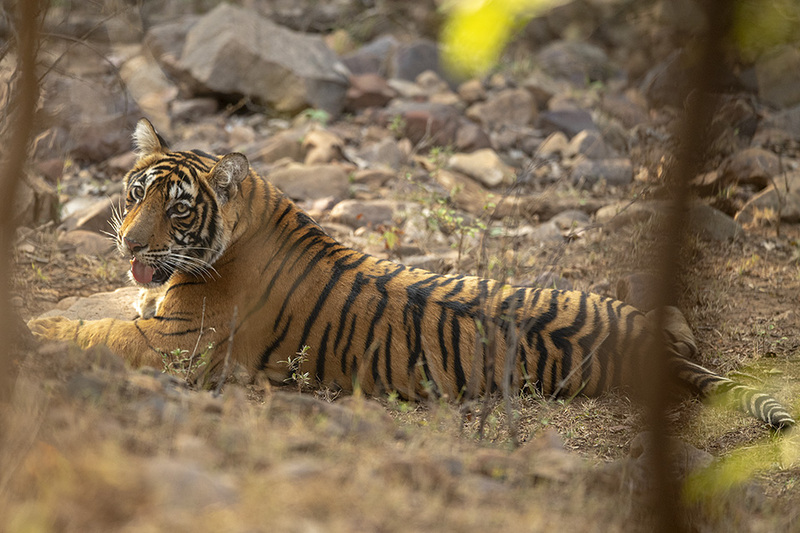 On this afternoon safari in Ranthambore National Park, we decided to go in search of Noor, a popular Tigress. 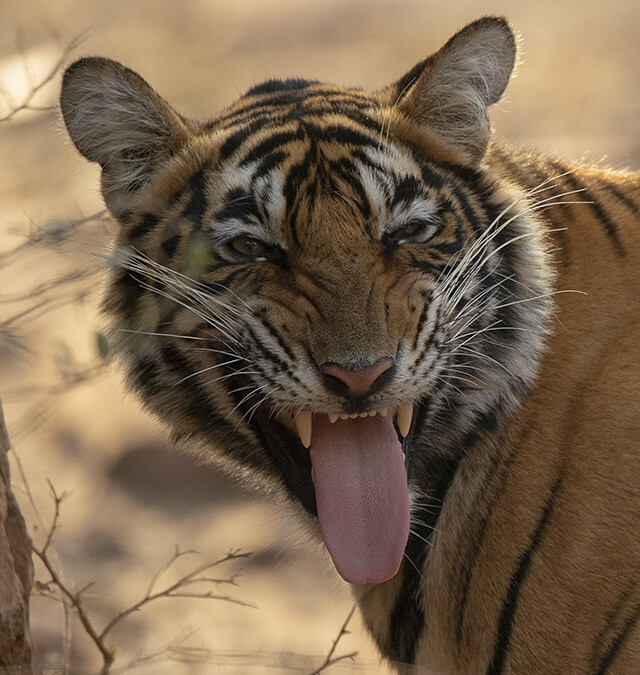 The special interest in this Tigress was because she had four grown up cubs with her that were soon to go their different ways. Noor and her cubs had not been seen for a few days now and so the chances of being spotted were growing stronger by the day. 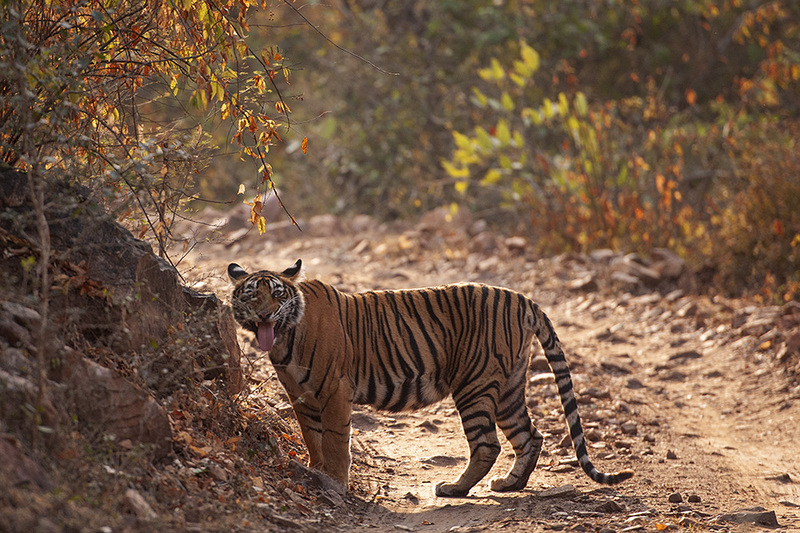 We were half-way into the zone, when our guide spotted a Tigress walking along the dry stream parallel to the road. She almost immediately knew that she was spotted and settled in the shade of the shrubs to take rest. The only clear shot we had of her face was through a small opening in the shrub and we were hoping she would turn around to look at us. Soon she turned around giving an opportunity for a few pictures. A stream bed, further ahead crosses the road, and we were hopeful that she would soon get up and head in that direction. But instead she got up and went backwards and we had to drive the vehicle in reverse gear to keep up with her. She would pause every now and then to look at us. Why she was retracing her path was a puzzle to us. Soon the puzzle was solved. 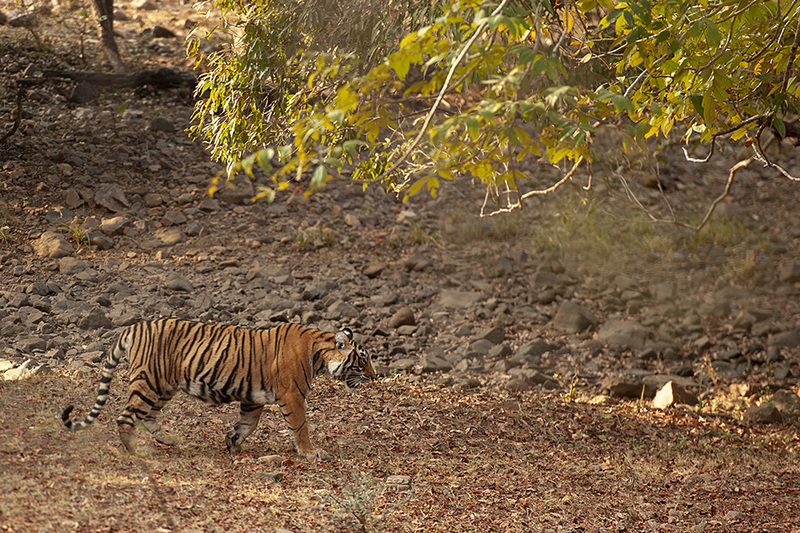 The Tigress, now identified as one of Noor’s grown up cubs, lead us to another Tiger sleeping in the shade of a tree on the same stream bed. 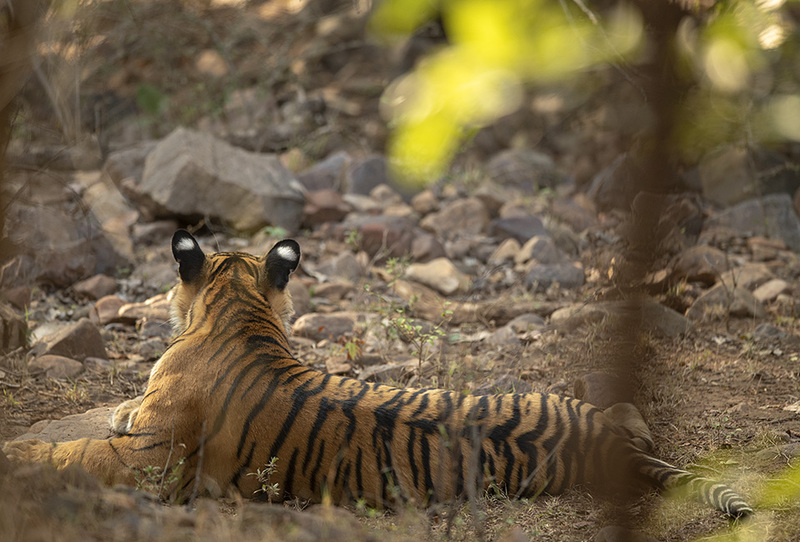 We had missed this sleeping Tiger since it was further away from the road and was very well camouflaged. After leading us to the 2nd Tiger cub, the first Tiger cub broke cover and came onto the road and walked away from us. However, she stopped by to scent mark a shrub along the way making this lovely expression (below), I quickly switched to my D5 600mm combination and zoomed in to get the feature image of this post.